These 4 FOUR hook boards measure 23" long ; the board with 3 hangers, separate listings, is 19" long. 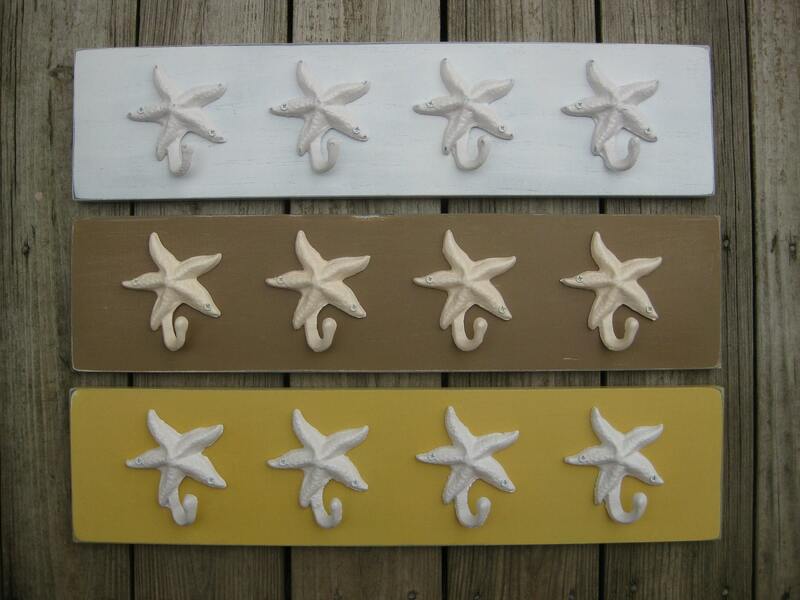 The 5 hook board (sold separately) is 31"-35". 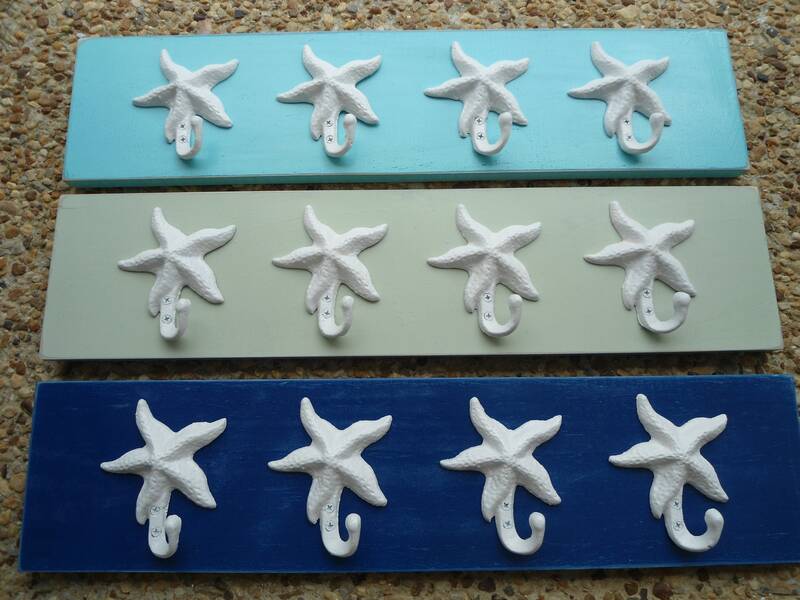 We also have listings now for 6, 7, and 8 hooks on one board. This is one of our best selling items year round, now available in a 28 colors (see photo 5) instead of just white and cream . 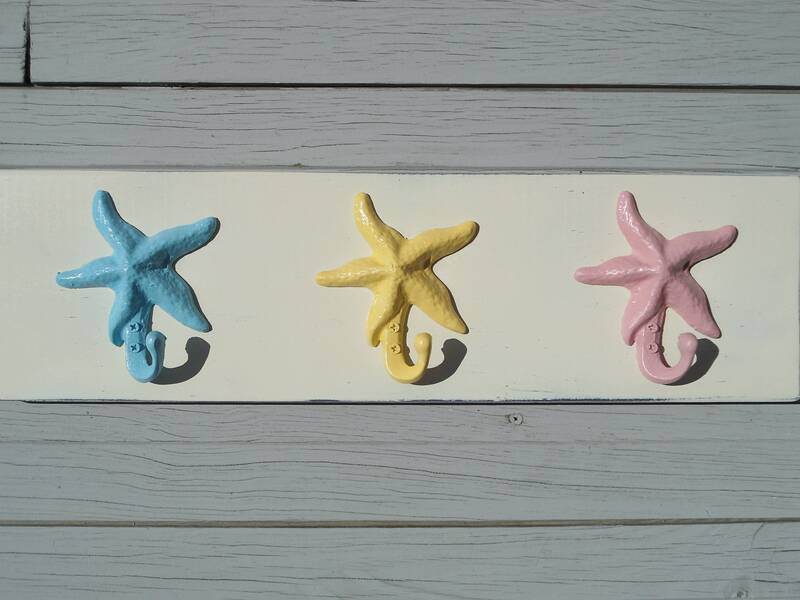 This handmade, high quality, lovely gift, with popular retail stores inspired colors,works with any decor, and will bring that beach feel to your home every day. "Are you an interior designer, or contractor, project manager or decorator? We have had the privilege of working with some large firms on big projects, and we are capable of handling large orders. We would love to talk with you about the possibilities of using our designs in your project. 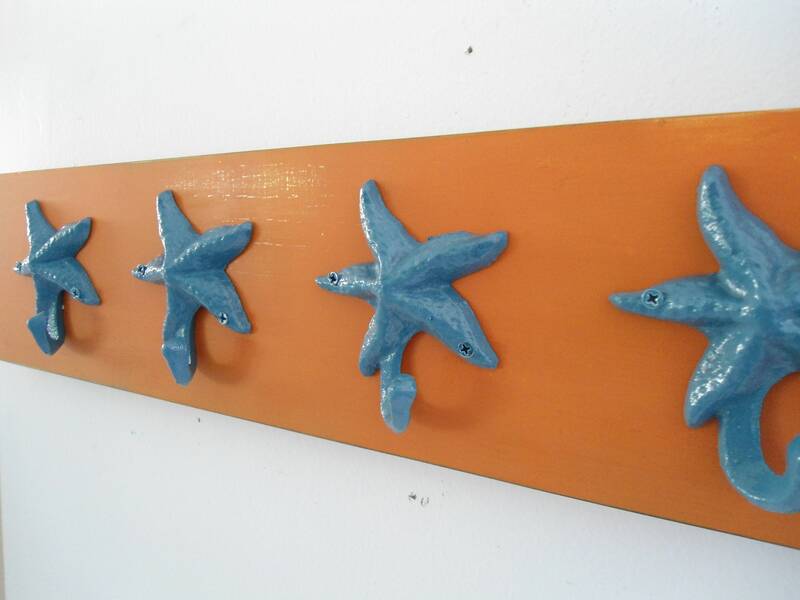 This listing is for your own custom piece like the one shown, made from premium lumber that has been cut by Tommy, painted and then painted with a couple coats and sanded, before attaching these lovely starfish hangers. 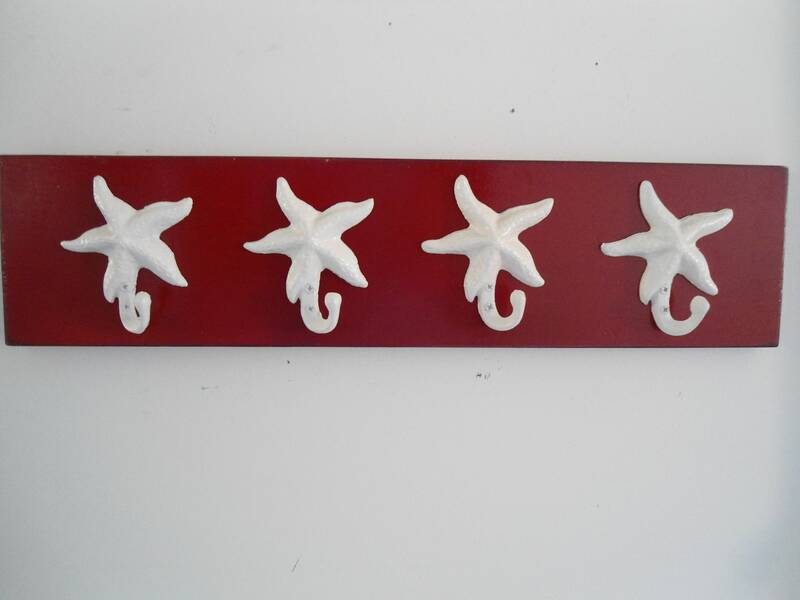 The dimensions of this sturdy handmade wooden hanger shown are 23" long, 5 1/2" high, and 1-2" deep, with 4 starfish hangers. This board comes with 2 ring type hangers already attached, on the back for easy hanging too; We recommend that these boards be hung from the studs in your walls. Or you can use anchor toggle bolts designed for use in drywall. Anchor/toggle bolts can be found at your local hardware store. We will position the center of the ring type hangers approximately one inch from each end of your board. If preferred, we can ship your ring type hangers unattached and you can attach them yourself. Please designate in the message to seller section if you want us to send you 2 ring type hangers UNattached. 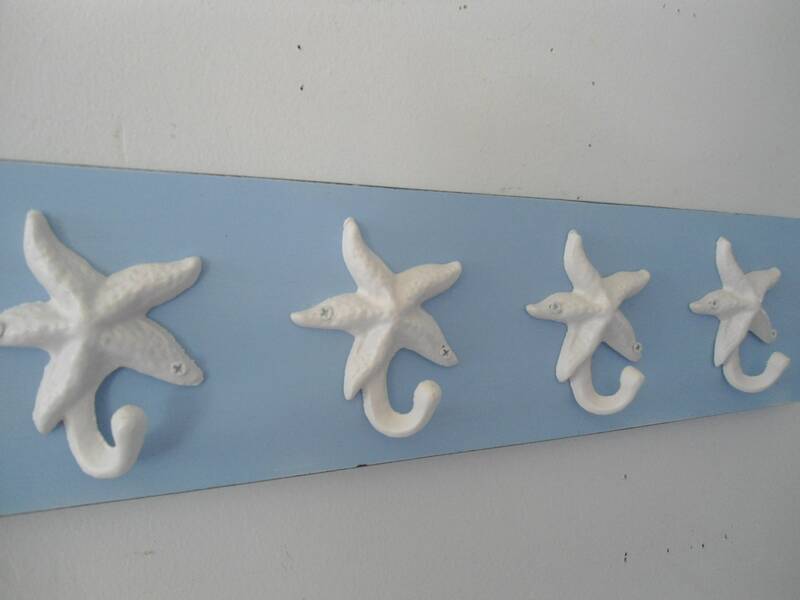 2. what hooks do you want (starfish, sanddollar, seahorse, mermaid, lobster, crab..)? 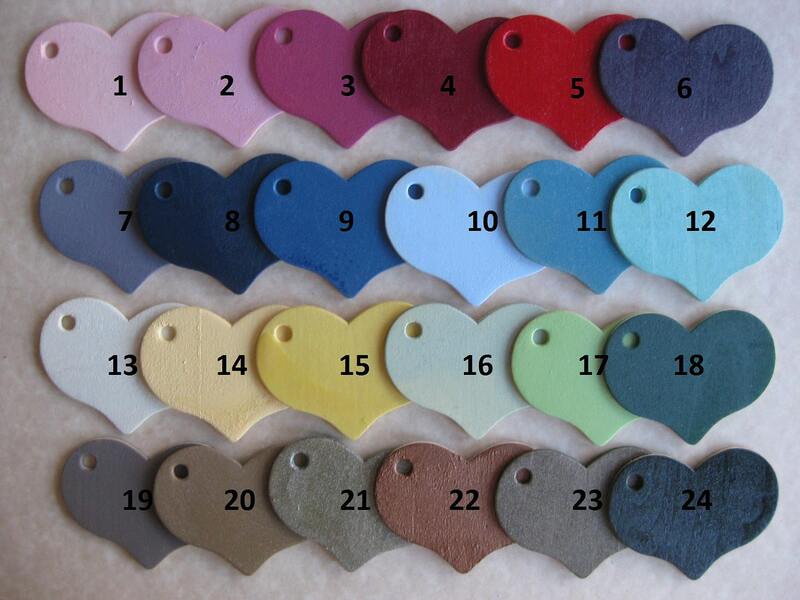 3. what color hooks do you want, and do you want them distressed? Thanks for coming by and have a blessed day. Great communication from the Beach House staff and shipped on time. This towel rack looks fantastic in our newly renovated bathroom!! Beautifully done. Great for outside our pool area for towels and robes. 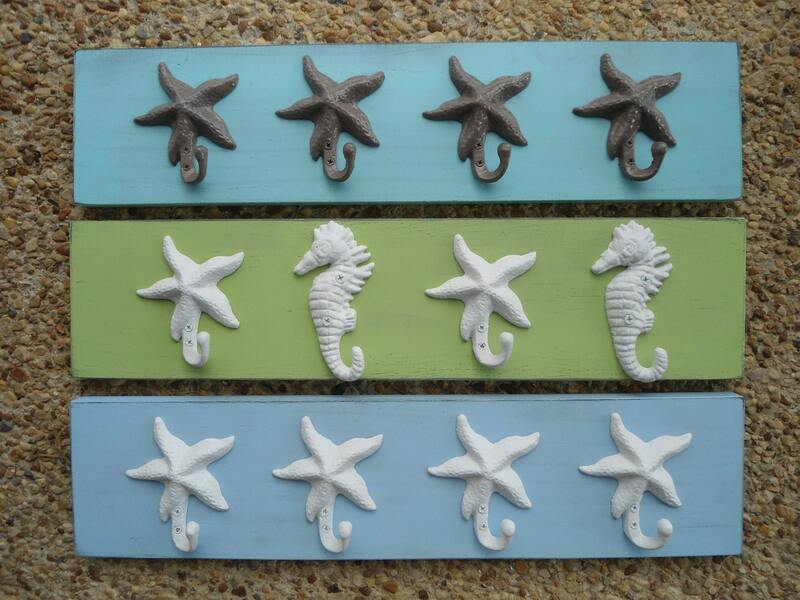 Absolutely perfect for our beach themed bathroom! The turnaround time was great and the variety of colors for this item are great. I would definitely recommend this item and shop! I love this item! 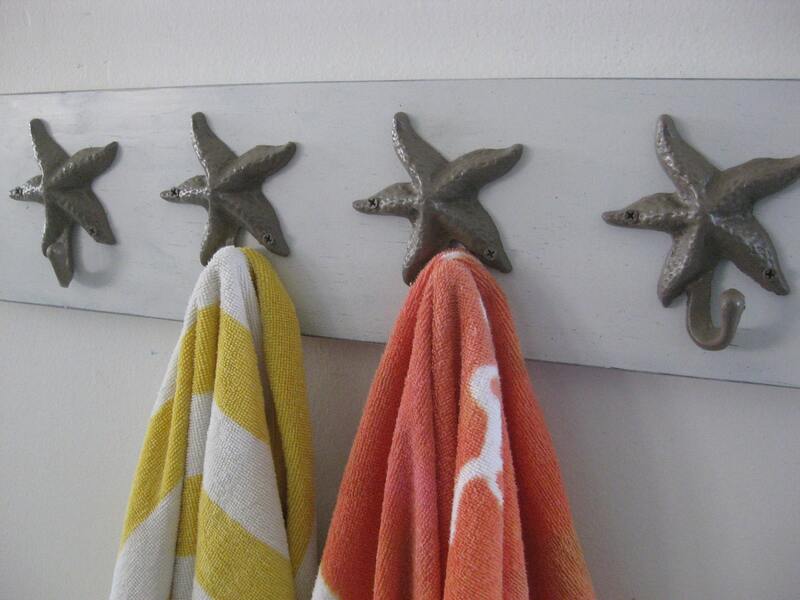 it looks great in my boys beach theme bathroom. I was worried when i picked up crumpled box from post office, but they had bubble wrapped very well and very carefully and it was in perfect condition. nice quality! !